Endure unimaginable horrors as tortured detective Sebastian Castellanos sets out to find his daughter in The Evil Within 2. Embark on a gruelling journey to rescue a lost loved one in the chilling sequel to Shinji Mikami’s 2014 horror hit The Evil Within. Step once more into the shoes of beleaguered detective Sebastian Castellanos – a man who has lost everything – as he returns to the experimental and mind-bending world of STEM to face down new nightmares in search of the one thing that still remains dear, his daughter Lily. How you face your fears is up to you: slink through the shadows laying traps, hiding from enemies and proceeding by stealth, or look hell in face and use force and firepower to cut a path through the nightmare. Whichever way you choose, supplies will be limited, so gather everything you need, craft what you can’t find and fight your way to redemption. Get up to speed with the horrific events which left troubled detective Sebastian Castellanos and his home town of Krimson City changed forever. After a routine investigation into a disturbance at a local hospital catapults you into an unhinged and mind-bending nightmare, you'll need to keep your head as you make sense of the madness and struggle to overcome a truly nefarious foe. 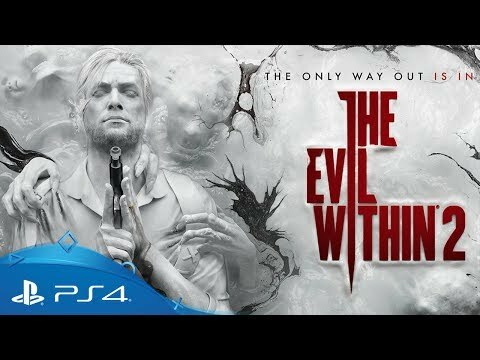 Buy The Evil Within 2 on PS4. Love to get lost in survival horror? Trace the terrifying events of Outlast deep into the Arizona desert in Outlast 2 on PlayStation 4. PlayStation VR and PS4 bring survival horror to life in a terrifying new way. Work with friends to survive the murderous rampage of a psychopathic killer in Dead by Daylight on PS4. Get closer than ever to the zombie apocalypse as zombies meet VR in Arizona Sunshine on PlayStation VR.